McKenzie Trailers is enthusiastically committed to offering our customers the best value and service on all our new and previously owned towable recreational products. 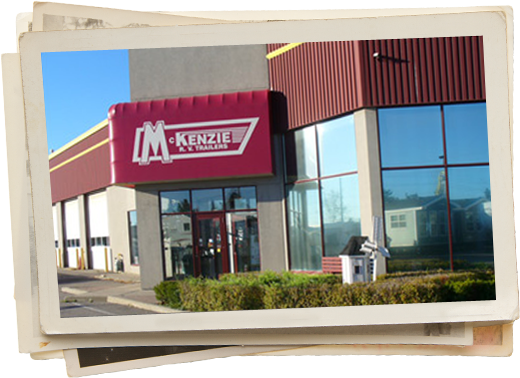 McKenzie Trailers has been the preferred dealer servicing the greater Toronto and southern Ontario region for over 40 years. Located in Gormley Ontario, only a few minutes northeast of Toronto, our state-of-the-art dealership is committed to ensuring unparalleled quality sales and service. We understand that to camp or cottage in our great outdoors is to experience a Canadian way of life unlike any other. McKenzie Trailers’ professionally trained and dedicated staff will ensure that your complete road and campsite experience remains memorable. Our corporate goal is simple and straightforward: Your total RV satisfaction so you may continue to experience the excitement of our dynamic roads, forested trails, and the wondrous landscapes that only RV'ing can offer.